Variable-speed industrial motors are fed through the inverter (I - U - or f - inverter). The resulting power dissipation in the inverter is dissipated by cooling systems. Different systems are used. 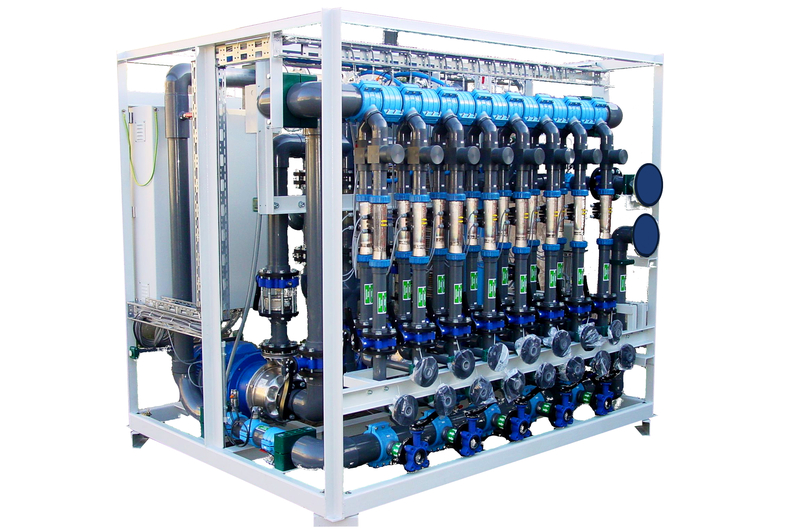 We offer, among other things, water - water systems with different supply of the raw water cycle, depending on the location and water quality. The raw water quality and temperature are relevant for the interpretation of the re-cooling. In addition, the suspended solids in the water is taken into account. The materials used are largely determined by the nature of the raw water (salt water, fresh water, brackish water, river, well water, etc.). The units designed by us for cooling processes can be tailored by us already in the planning to the individual requirements and special conditions. Even for the same performance result from taking into account the specific site conditions (geometric dimensions, temperatures, etc.) or the standards to be observed (Bureau Veritas, Det Norske Veritas, Germanischer Lloyd, etc.) different systems, used in particular as regards the materials. ships, oil rigs, semi-submersibles, etc. in the paper, chemical, petrochemical, cement, steel-industry, etc.